12 amp battery charger 12v/24v Size: 7.25" L x 6.5" W x L 3" HVolts: 12V, 24VBanks: 2Amps: 12..
6 amp bank battery charger 12v Size: 6.5" L x 4.5" W x 3" HVolts: 12VBanks: 1Amps: 6..
Dual pro 30 amps 2 banks-pro2 Size: 9.5" L x 8.25" W x 6" HVolts: 12V, 24VBanks: 2Amps: 30 Amp..
Dual pro 45 amps 3 banks Size: 13" L x 8.25" W x 6" HVolts: 12V, 24V, 36VBanks: 3Amps: 45 Amp..
Dual pro se 20 amp 2 bank Volts: 12V, 24VBanks: 2Amps: 20 (10/10)..
Dual pro se 30 amps 3 banks Volts: 12V, 24V, 36VBanks: 3Amps: 30 (10/10/10).. 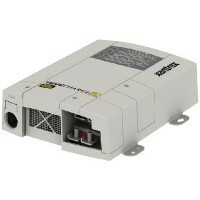 Battery charger 40a 12v 5000sp Size: 3.7" x 9-1/2" x 13-1/4"Volts: 12Banks: 3Amps: 40.. 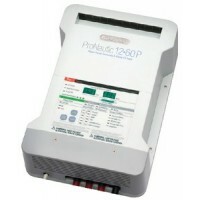 Battery charger 15a 12v 2000sp Volts: 12Banks: 3Amps: 15.. 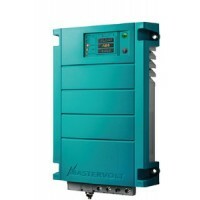 Battery charger 30a 12v 2000sp Volts: 12Banks: 3Amps: 30.. Battery charger 40a 12v 2000sp Volts: 12Banks: 3Amps: 40..
Chargemaster - 12v 25a : 12Volts: 3Banks: 25Amps: ..
Chargemaster - 12v 35a : 12Volts: 3Banks: 35Amps: ..
Chargemaster - 12v 50a : 12Volts: 3Banks: 50Amps: ..
Chargemaster - 12v 70a : 12Volts: 3Banks: 70Amps: ..
Chargemaster - 24v 20a : 24Volts: 3Banks: 20Amps: ..
Chargemaster - 24v 30a : 24Volts: 3Banks: 30Amps: ..
Chargemaster 24v 40a 3 outpu : 24Volts: 3Banks: 40Amps: ..
Chargemaster 24v 60a 3 outpu : 24Volts: 3Banks: 60Amps: .. Permanently holds your ProMariner 120VAC plug in a weatherproof compartment. Keeps your battery char..
No cutting, stripping of splicing wires. 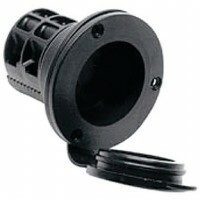 Secure your AC plug with an easy to mount receptacle. Descr.. Pro tournament 150 chrg 15amp Cable Length: 6'/6'/6'Model: 150Volts: 12/24/36Banks: 3Amps: 15.. 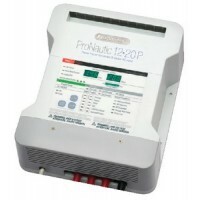 Pro tournament charger 30 amps Cable Length: 6'/6'/6'Model: 300Volts: 12/24/36Banks: 3Amps: 30..
Promar1 5-5 10a wp bat charger Cable Length: 6'Volts: 12/12Banks: 2Amps: 10..
Promar1 553 13a wp bat charger Cable Length: 6'Volts: 12/12/12Banks: 3Amps: 13..
Promar1 5 5amp wp bat charger Cable Length: 6'Volts: 12Banks: 1Amps: 5..
Pronautic1210p 12v10a bat chrg Size: 10-1/4" L x 8-1/2" W x 3-1/2" HModel: 1210PVolts: 12Banks: 2Amp..
Pronautic1220p 12v20a bat chrg Size: 10-1/4" L x 8-1/2" W x 3-1/2" HModel: 1220PVolts: 12Banks: 3Amp..
Pronautic1230p 12v30a bat chrg Size: 10-1/4" L x 8-1/2" W x 3-1/2" HModel: 1230PVolts: 12Banks: 3Amp..
Pronautic 1240p bat. 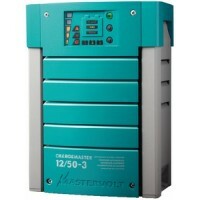 charger Size: 10-1/4" L x 8-1/2" W x 3-1/2" HModel: 1240PVolts: 12Banks: 3Amps:..
Pronautic1250p 12v50a bat chrg Size: 12-1/4" L x 8-1/2" W x 3-1/2" HModel: 1250PVolts: 12Banks: 3Amp..
Pronautic1260p 12v60a bat chrg Size: 12-1/4" L x 8-1/2" W x 3-1/2" HModel: 1260PVolts: 12Banks: 3Amp..
Prosport 1.5 amp charger Cable Length: 4'Connector: Ring Term.Volts: 12Banks: 1Amps: 1.5..
Prosport 1.5 portable charger Cable Length: 4'Connector: ClipsVolts: 12Banks: 1Amps: 1.5..
Prosport pfc 3-bk bat. 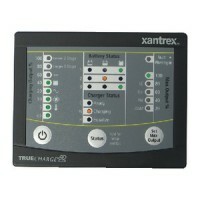 charger Volts: 12/24/36Banks: 3Amps: 20..
TRUECharge2 units offer low electrical interference and efficient, microprocessor controlled, multi-..